The disturbances in sleep patterns among chronic drug addicts and substance abusers is a well-researched area of Medicine. It is a well-known fact that all psychiatric and drug abuse disorders are associated with disturbances in sleep patterns. The instability of sleep architecture in subjects involved with chronic drug addiction is primarily due to psychiatric and physical illnesses affecting their overall health. The reciprocal relationship between the cause and effect of drug addiction and sleep disorders is a vicious circle, in which drug abuse aggravates sleep disorders and also vice versa. Sleep pattern disruption in alcohol-dependent subjects is a widely acknowledged medical observation. Alcohol and other psychoactive drugs (such as opiates) interfere with the release of neurotransmitters such as serotonin and norepinephrine in the brain, which are vital for normal regulation of sleep patterns. During the early stages of addiction, alcohol itself would initially work as a sedative to aid sleep. However, persistent alcohol consumption (or abuse) would alter the Rapid Eye Movement (REM) stages of sleep and create severe disruptions in sleep patterns. The alcohol disrupts the release of brain neurotransmitters and results in the alcoholic subject suffering from perpetual insomnia. ‘Sleep Apnea’ is another condition associated with Alcohol abuse where the narrowing of upper respiratory canals occurs, which would cause the addict to awaken abruptly, gasping for breath. The detrimental effects of such substances on sleep cycles can persist even after drug withdrawal, detoxification, and abstinence. Drug stimulants such as cocaine subdue the REM stage of sleep and decrease the total sleep-time by altering the dopamine levels in the brain, thus increasing the periods of wakefulness. Cocaine-addicts have reduced Slow Wave Sleep (SWS) and REM stages in their respective sleep patterns. Paradoxically, once the effects of the drug wear off, a state of ‘sleepful-ness’ often occurs and the addicts consume even more cocaine to stay awake. These effects are similar to amphetamine addiction on sleep patterns. Two main constituents of Cannabis – 9-tetrahydrocannabinol and cannabidiol, have contrasting effects on sleep patterns – where the former has a residual sedative effect and the latter has a weak activating effect via the brain’s hypothalamus and dorsal raphe nucleus. Similarly, prolonged marijuana addiction has been shown to disrupt the major stages of sleep, particularly the lesser slow wave sleep, shorter REM latency, poor sleep efficiency, longer sleep onset times, and lower overall sleep times. Hypersomnia is a common identifiable trait in heroin drug abuse, however decrease in sleep efficiency and quality and experiencing of hallucinations, and night terrors severely disrupt the overall sleep pattern. 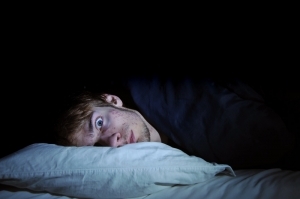 Prolonged heroin intake eventually leads to a sleepless state known as “Morphine insomnia” severely affecting overall sleep hours. Advancements in research studying drug abuse and sleep pattern regulation combining neurobiological theories regarding sleep architecture would help us design apt treatment methodologies for rectifying the many sleep side-effects of drug addiction.